Tears are typically associated with failure and laughter is usually triggered by positive emotions. But for the UP Fighting Maroons, their evolution from perennial whipping boys of the UAAP to a title contender can be seen in their vulnerability after the final buzzer. 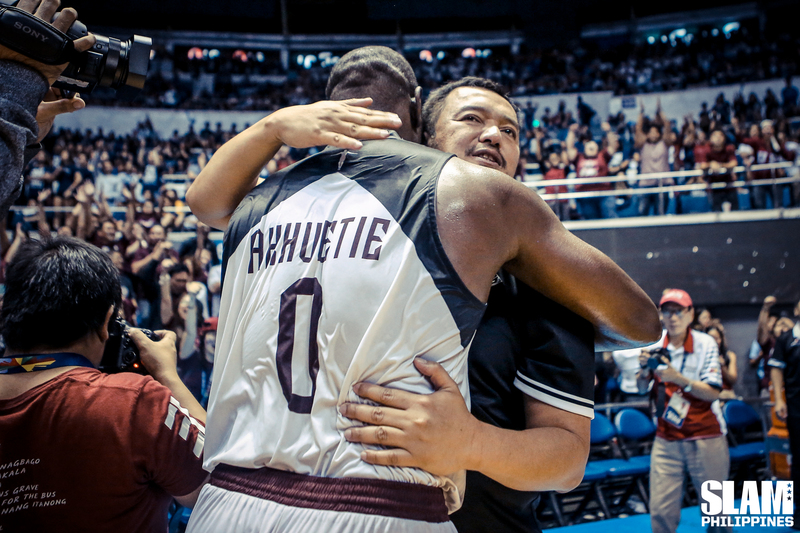 Many of the Fighting Maroons were a mess after their Final Four victory over Adamson. 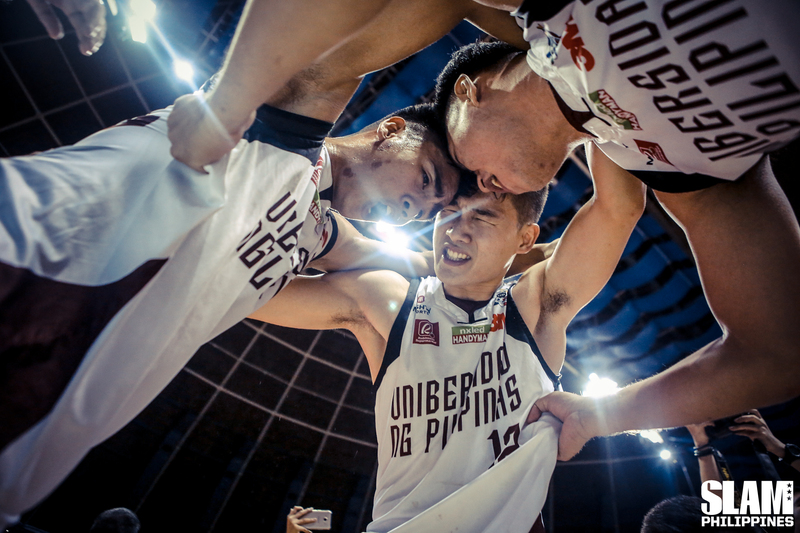 UP players and coaching staff in tears as they sang their alma mater hymn — forever immortalized online. “But right now, when you get in people that are natural winners, they tend to either inspire or influence others,” he added. With former NCAA MVP Bright Akhuetie in tow, senior scorer Paul Desiderio leading the way, and last year’s Rookie of the Year Juan Gomez De Liano running the show, it’s no wonder the expectations on that side of Katipunan is sky high. Even if winning was their goal from the get go, ending their lengthy absence from the Finals this year still seemed like a far-fetched idea. Not bad for a team whose coach gave them an ultimatum that he would quit if things didn’t turn around for them in a hurry. Now the attention shifts to the Finals and their neighbor in Katipunan, the Ateneo Blue Eagles. Despite all the glory they basked in after defeating Adamson, UP knows that they have to quickly get back to work if they want to give Ateneo a run for their money. This is best encapsulated by Perasol’s post-game interview with the broadcasters, with his priceless reaction when asked about the prospect of trying to topple Ateneo in a best-of-three series. To be fair to Perasol, he was asked this just moments after their emotional victory against Adamson. It’s no question that the Fighting Maroons are the underdogs against the defending champions, but they go into the Finals knowing they have defied the odds so many times before. There will definitely be a few more tears shed after the Ateneo-UP series, win or lose. But as the Fighting Maroons have shown in their best few games, it wouldn’t be out of the question to see them have the last laugh.